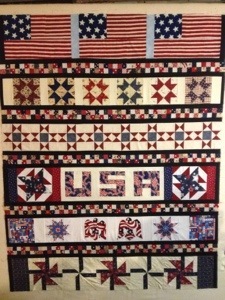 I had some time last night to work on my patriotic row by row. I haven’t sewn on it for a while. I now have all the rows sewn together, just need to add the borders and call it done!